Batkivshchyna Party Leader and presidential candidate Yulia Tymoshenko says that based on the exit poll conducted by her party, she received 20.9% of votes in the first round, which will be confirmed once the protocols from the polling stations are tallied. “Voting in the first round of the 2019 presidential campaign just ended. The Batkivshchyna team conducted a comprehensive exit poll. We do not contest Volodymyr Zelensky’s first place with 27%, but our team was in second place with 20.9% and Petro Poroshenko in third with 17.5%,” Yulia Tymoshenko said during a press conference in Kyiv. According to the politician, the only reliable results are the official protocols from the polling stations. She also said that Batkivshchyna is conducting a parallel vote count and will announce the results after midnight. “We will get copies of electronic protocols from each polling station and starting at midnight we will announce the results of voting. We also expect by the end of April 1 to have original protocols with wet seals and signatures and will show them to the public to protect the results of the elections,” said the presidential candidate. 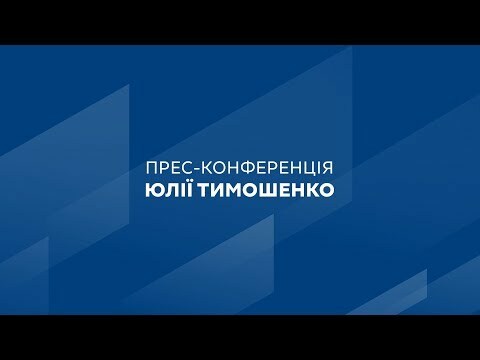 “Based on the facts and figures we received, we are convinced that the exit polls announcing Petro Poroshenko in the second round as not true. These are manipulative and custom exit polls, just like the manipulative and custom sociology in Ukraine,” she said. Yulia Tymoshenko urged the Batkivshchyna team and their supporters to go to the polling stations to protect the results of the vote. “There will be provocations, there will be intervention by power structures controlled by the President’s people, to destroy protocols. Be strong and do not leave the polling stations during the night. Together we are fighting for every protocol. I am convinced that after all the protocols are tallied, Poroshenko’s mafia will no longer be in power,” she said, and thanked those citizens of Ukraine who went out and voted. “This means that there is hope that the mafia in Ukraine will not stay in power and revival and establishment will begin,” said the presidential candidate.